Our collection of signature tools is designed specifically to work with our unique formulations, offering controlled, flawless application. 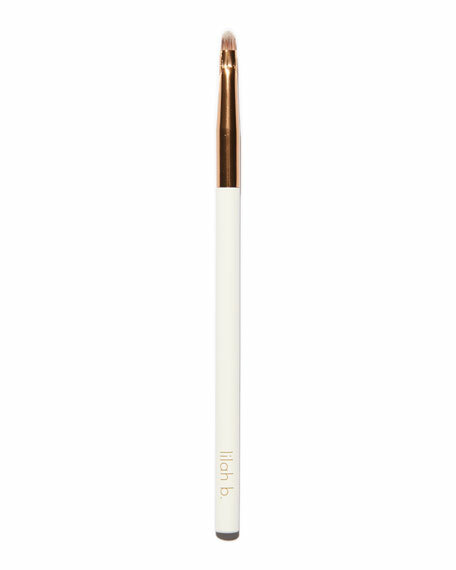 Our liner brush defines eyes and lips with precise application. In the cluttered, confusing world of cosmetics, lilah b. simplifies the beauty routine. The brand blends healthy, high-performance ingredients to create a minimalist collection of color. Its unique, innovative formulations offer multipurpose products to achieve a finished look with fewer products. Formulated without parabens, phthalates, sulfates, synthetic fragrances. Gluten-free, Vegan. Cruelty-free.